Were the grievances of the American Colonies against King George III severer than American Citizens’ now, with our own government? This video, uploaded just today, cites a list of present day grievances, including the dictatorial Obama/DHS policy of an unconstitutional power of arrest, incarceration, and even assassination of United States Citizens deemed “suspects” of terrorism. The proponents of this video ask, would Thomas Jefferson be imprisoned or assassinated by the Obama administration? Ostensibly, this is an opus of those within the somewhat revisionistic libertarian movement, not fully ceding to the tenets of the Declaration of Independence, even as they quote from it. It neglects the violation of “the Laws of Nature and Nature’s God” by our pseudo-federal government in its condoning the killing of innocent Citizens in the womb who must be allowed their Creator Endowed Right to Life; also the confiscation of our money by tax, to support the finances of organizations which perform these murders; also the promotion of the unnatural and ungodly oxymoron of “homosexual marriage,” in violation of the United States’ Defense of Marriage Act, which is intended to protect the fundamental relationship of any society’s valid social contract. 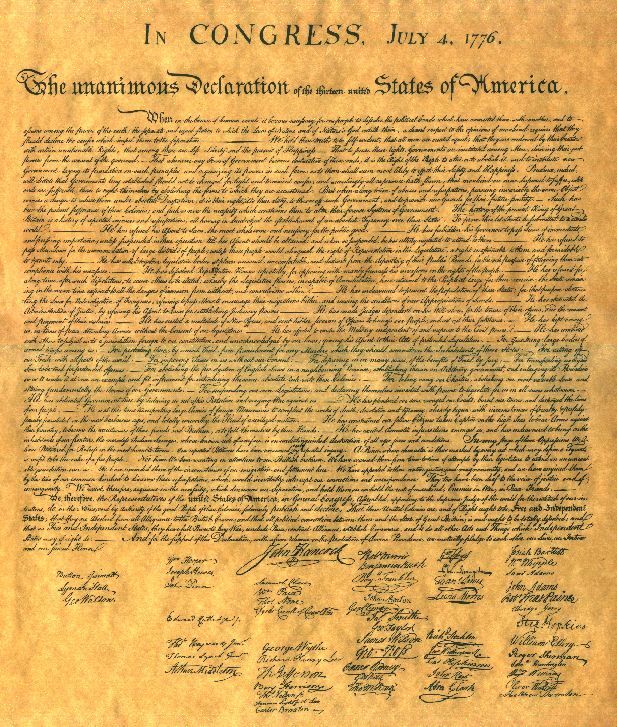 Further it fails to cite our pseudo-federal government’s adoption of numerous programs which usurp the Sovereignty of the United States of America, its States, and its People, by allegiance instead to the United Nations, something which violates the fundamental claim of the Declaration of Independence and is not provided within our Constitution. And, one may or may not agree with every single claim of this video, but as a whole, it should be solemnly pondered as we all go through another election cycle.